To best support youth leagues of all types and sports, we are offering Big Time Coach Injury Report for FREE to all youth sport coaches and families. Our goal is to have Big Time Coach Injury Report on every iOS phone at every field, every game, and every practice - Spread the word to help us impact youth sports players and their families everywhere. The Big Time Coach is extremely active in supporting our apps so if you encounter any problems, please contact us so that we may make changes and update the app to rectify the problem. Big Time Coach Injury Report delivers an app for Coaches and Safety Officers for Little League, Cal Ripken and other Youth Sports Organizations. Unfortunately, injuries and incidents continue to be a part of baseball, softball, football, soccer, basketball and other youth sports. Big Time Coach has worked hard to develop an app, which helps coaches quickly communicate the injury or incident to parents, league officials and physicians. The Injury Report app takes the existing old paper form process and brings it into the digital age. 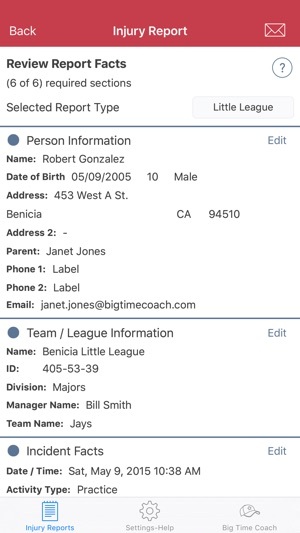 In this app, Big Time Coach provides several key features to improve the current processes used by any Youth Sports Organization. • Integrated Application Help -- Learn Big Time Coach Injury Report as you go with the integrated help viewer. Key views and specific fields have help associated to make it simpler to complete your Injury Report immediately following the incident. • On the field or court, during practices or games, digital reporting directly from your phone. • Email .pdf Injury Report Forms to parents, coaches or physicians right from your app. • Date stamped Injury Report to assist physicians with diagnosis and treatments. • Temporary Digital Storage of Injury Reports for each coach. • Streamlined process that takes just a couple minutes to complete and send to all parties involved. 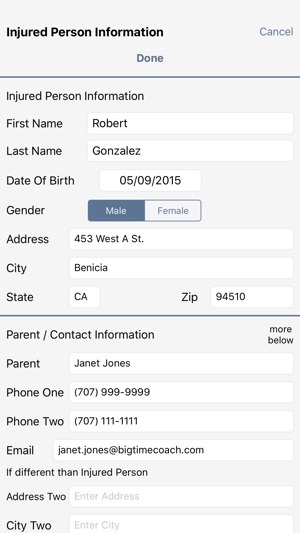 • Capture Parent/Guardian signatures directly in the app for the fastest possible Injury Report submission. • Search Injury Reports with spotlight simply by typing in the injured player or person's name. • Track if Injury Report has been sent via email. 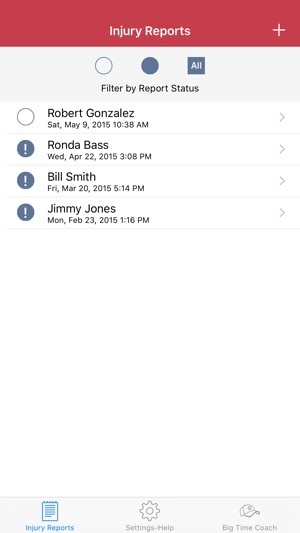 • TeamSnap® Integration - If you are a TeamSnap® member you may leverage that membership by pulling in information from the players, team staff, and contacts on your TeamSnap® roster. • SportsEngine® Integration - If your league is using the SportsEngine® website and registration platform you may leverage that membership by pulling in information from the players and team staff on your SportsEngine® roster. • CDC Concussion Protocol - With more states and organizations like Little League Int. enhancing their processes toward concussion identitification, BTC has added the CDC's concussion protocol to Injury Report. You may now quickly go through the questions and document the processes. When concussion protocol is performed, a separate concussion prococol form is added to .pdf Injury Report when emailed. We are dedicated to providing coaches, parents and youth organizations everywhere the tools that they need. Our mission is why this app is free and will remain free as long as our team and community will support it. 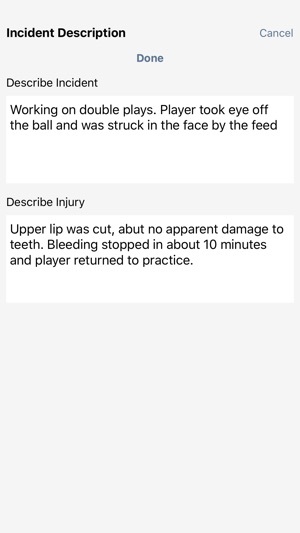 I would like to see more sport injuries part of the app besides head even though it’s important. Like to see ankle, knee and just over all injuries. I think it’s important so we can keep track of all injuries no mater how small or big they are. I am the Safety Officer for Folsom National Little League and we just implemented this app mid-season 2017. It is super easy to use and, although we hope to rarely need it, it makes the injury reporting process a snap. The UI is intuitive and the resulting report is very thorough and easy to read. 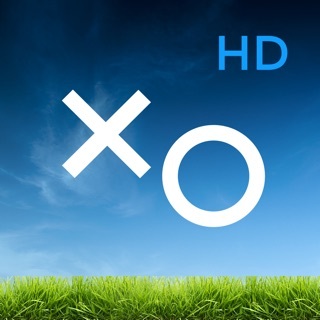 I cannot say enough good things about this app! 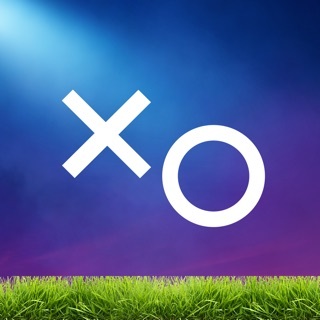 Especially now, with CA concussion protocols in effect for all ages, this app is an essential tool in our toolkit to help keep our little athletes safe through timely and open communication of injuries on and off the field. Thank You Big Time Coach! Our city league (BLL) has adopted this app as critical resource, and an integral part of our overall safety program. 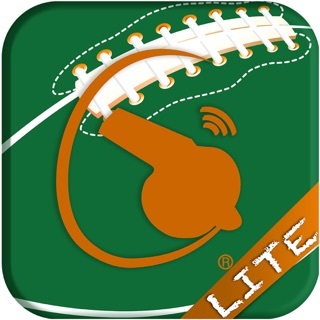 Also, our entire district has embraced the app and recommended it to all leagues. 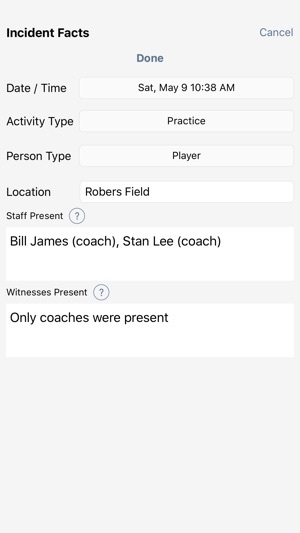 Creating and submitting Injury Reports is critical to ensure families are completely covered, and this app allows Coaches and anyone with an iPhone to fill out a report, have it signed, and submit the report while on the field. The guys at BTC are so generous to make this app available for free. A must have.